Digital Learning Day (DLDay) 2019 is February 28. Digital Learning Day (DLDay) 2019 is February 28. With just a few weeks to go, it's time to start crossing off items on the DLDay to-do list. 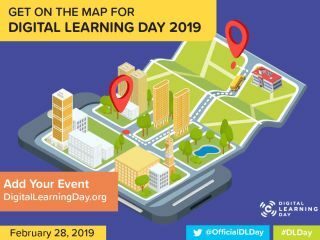 We're on the @OfficialDLDay map for Digital Learning Day 2019! Are you?